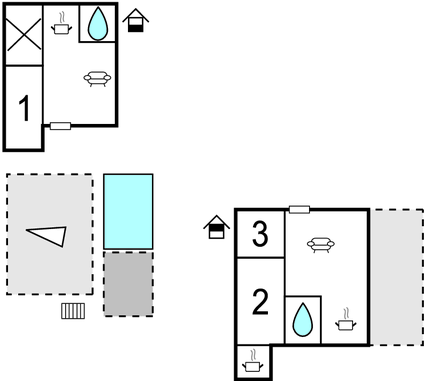 This holiday house with a pool and a large terrace comprises of two separate inter-connected housing units. It is located at a vantage point with a magnificent view of the sea and the islands. This holiday house with a pool and a large terrace comprises of two separate inter-connected housing units. It is located at a vantage point with a magnificent view of the sea and the islands. It is on the hill of the Kozjak Split and 1.5 km away from the fortress Klis. Many of the sculptures outdoor belong to the owner. A children's playground and a bowls pitch are also close by. The environment in the countryside invites you to relax and rest in tranquillity. Visit the attractions in Klis, Solin and especially in Split, which is famous for the Diocletian's Palace. The owner lives on the ground floor with private access. This villa is made from brick or stone and was originally built in 1989 and refurbished in 2011. The agent has rated it as a three star property so it is a well-kept villa, equipped with standard furniture. It is also good value for money. 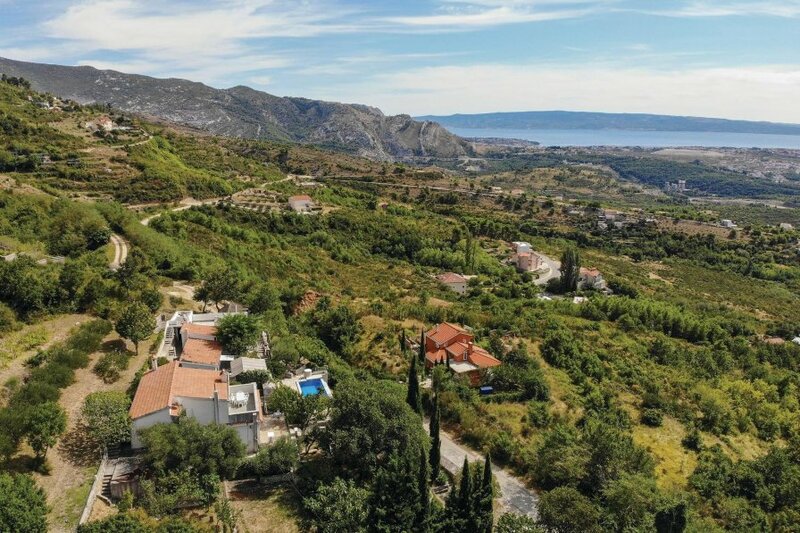 This villa has a swimming pool and beautiful panoramic view over water; it is also located in Klis, only 10km from Split. It is set in a convenient location, 3km away from a stone and pebble beach. There's also a restaurant 2km away.